132 crypto investors have filed a lawsuit against the Japanese-based crypto exchange Coincheck, seeking 228 mln yen (around $2 mln) in damages, local news outlet Sankei reported Tuesday Feb. 27. Coincheck suffered a major hack in late January that resulted in the theft of more than 523 mln NEM, worth around $530 mln at the time. The exchange has since promised to refund all of its customers in full at a rate of about 82 cents per token. 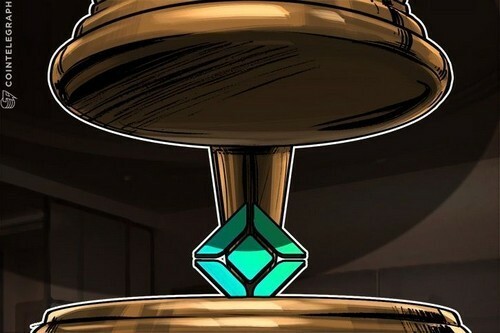 Despite the company’s refund promise, ten crypto traders had already filed lawsuits against Coincheck on Feb. 15 at the Tokyo District Court over the company freezing crypto withdrawals. Coincheck began allowing yen withdrawals on Feb. 12, which settled one of the claims against the exchange. At the time of the Feb. 15 lawsuit, the traders’ lawyer, Hiromu Mochizuki, told Reuters that a new lawsuit to claim damages for the hack may be forthcoming. This newest lawsuit with 132 claimants seeks payment in 13 types of currency, including yen, Sankei reports. According to their Twitter, the Coincheck Damaging Countermeasure Team filed the Feb. 27 lawsuit on behalf of the 132 defendants. A video from TV Asahi posted Feb. 27 shows Mochizuki blaming the hack on Coincheck’s “neglected security measures”. The “Coincheck Damaging Countermeasure Team” recently posted on Twitter that the amount being sought in the case is more than twice that which was reported by Sankei. On February 27, they stated that the amount of damages exceeded 490 mln yen (more than $4 mln). Since the January hack, Japanese regulators have begun conducting inspections of unregistered Japanese crypto exchanges, including Coincheck, verifying their computer safety measures and evaluating the management of customer assets.